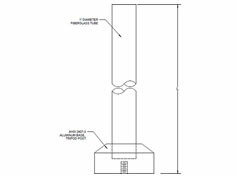 The ATU-510 Tripod is used to position, support, and stabilize most compliance test antennas. 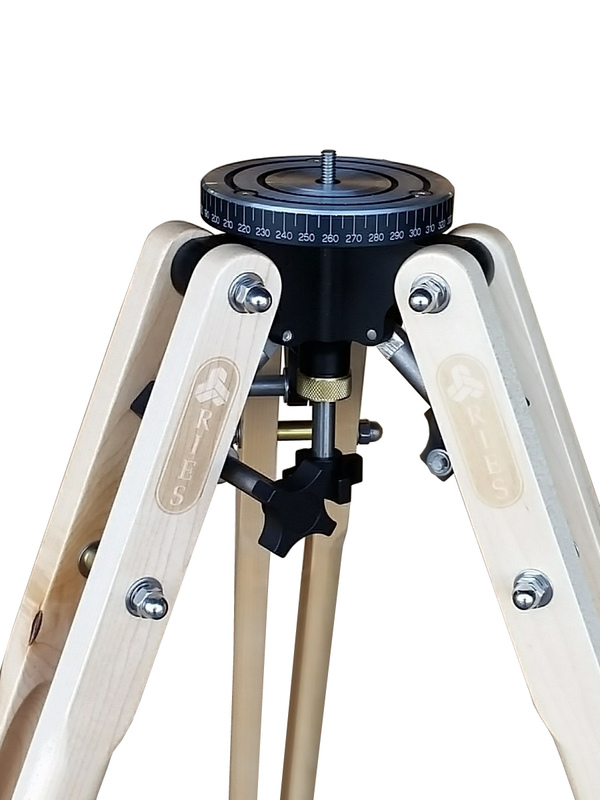 The ATU-510 Wooded Tripod comes with a spring loaded 1/4-20 male thread for mounting all of A.H. Systems and most other compliance measurement antennas. This wood tripod can hold up to 30 lbs. (13.6 Kg). 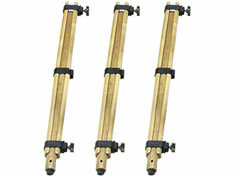 Each wooden leg is adjustable independently of each other. 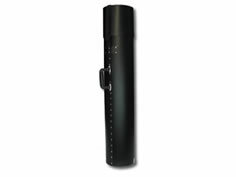 They can adjust from 38" in length to 63" and locked up to a 90-degree angle, allowing an infinite number of settings. 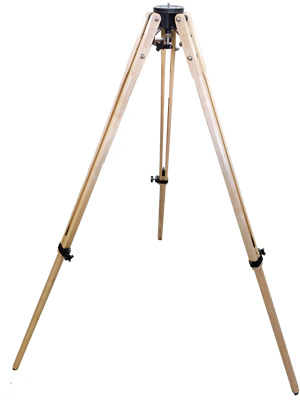 The adjustibility of this tripod won't limit your ability to work on hillsides or in cramped corners in the lab. 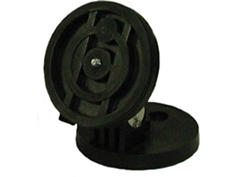 The ATU-510 comes with rubber feet ideal for lab environment testing. 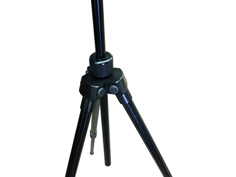 This tripod is also well suited for outdoor use, simply reverse the tripod legs to expose the spiked feet. 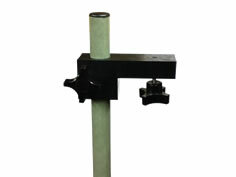 Carton size: 49" x 9" x 9"
The VER-60 is a 1" pole mounted to the top of a tripod and used to extend the antennas mounting point vertically off of the tripod. 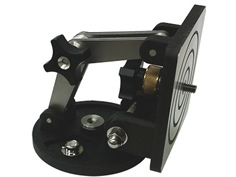 The EPC-1 is an adjustable mounting clamp for a one inch pole for attaching antennas.